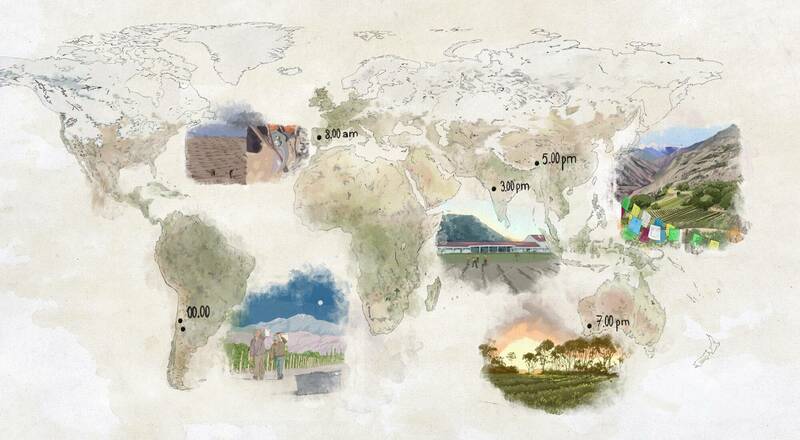 Estates & Wines, the New World wine collection of Moët Hennessy, counts 13 estates on four continents, spanning both hemispheres and diverse climates. All these estates live to the seasonal rhythms of wine production – while one begins the harvest, another prunes the vines or begins making the first cuvée. Our world tour stops at five estates. Located in the heart of the Duero Valley, Numanthia produces a vibrant and intense wine from a black grape native to its own Toro region, Tinta de Toro. Pruning, or poda en seco, is done between January and March, carefully cutting back the canes from the previous year to leave only two or three buds on each one, which will produce the grapes that will be harvested in September. This technique balances the vine to protect and preserve the distinctive quality of this stock of vines, some of them over a century old. 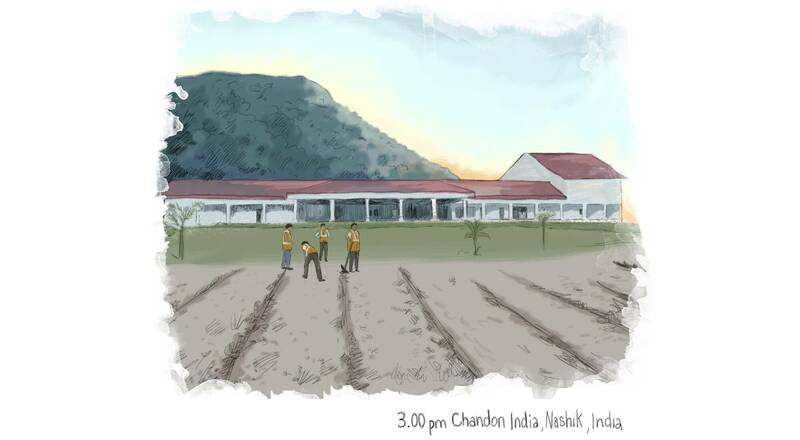 The creation of Chandon India wines entered its final stage with the construction of a brand new winery in autumn 2013, inspired by traditional Indian architecture. Now ready to begin making sparkling wines, the estate will inaugurate the winery in November, including an area where wine professionals can discover the world of Chandon and its Brut and Rosé wines. The production site is built entirely of stone with natural regulation of the air, creating ideal conditions to cellar the precious sparkling wines, crafted using the traditional method. This new Chandon estate will later invite the public to discover the remarkable experience of refined Indian sparkling wines. In the heart of the Mekong River valley, the Shangri-La estate is nestled in the foothills of the Himalayas. Stretching across four villages, the vineyards have been developed in harmony with local traditions and nature, drawing on the time-honored know-how of the land’s inhabitants. In the Shangri-La wine cellar, situated at an altitude of 2,600 meters, the team headed by Maxence Dulou racks the barrels of the next vintage produced by these unique terroirs, preparing the nectar for bottling. 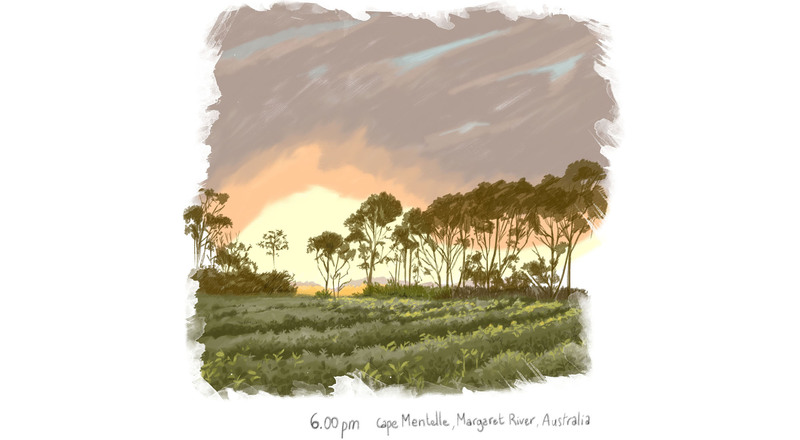 As the daytime teams empty their last baskets and the marine breeze picks up, the night shift of grape pickers prepare their gear at Cape Mentelle estate. 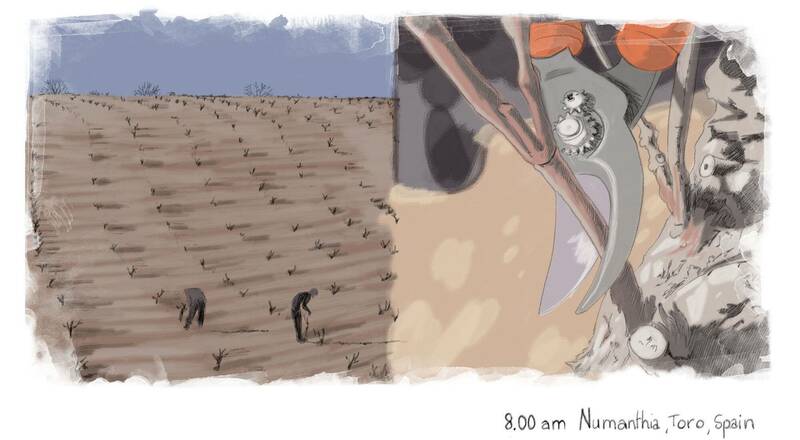 The harvest here must be both rapid and precise to get the grapes in from over 250 hectares of vineyards,. The chardonnay grapes are picked in February, while the sauvignons blancs and semillons are harvested during the cool night hours. In mid-April, the cabernets, shiraz, merlots, zinfandels and other grape varieties grown at the estate are picked to begin their journey to the cellars of the Australian estate. Created in 1999, Cheval des Andes is the Argentine expression of Château Cheval Blanc, the renowned Bordeaux Premier Grand Cru Classé A estate in Saint-Emilion. 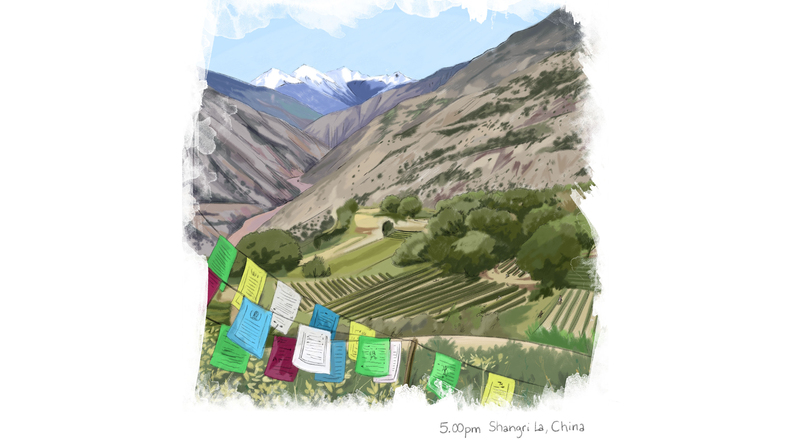 This remarkable wine is made in Las Compuertas, in the Cordillera foothills of the Andes. 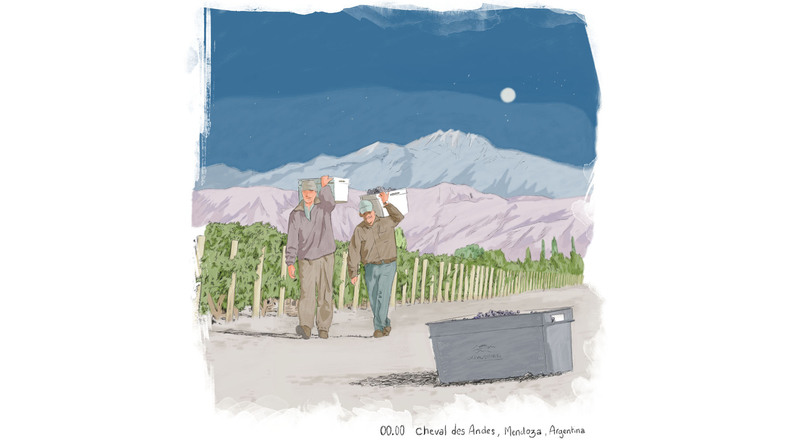 Grown in the unique terroirs of Terrazas de Los Andes, the grapes are hand-picked in the early hours of the morning just after the nighttime harvest has ended. This ritual guarantees that Cheval des Andes uses only the very finest grapes from the best vineyards.